Everyone researched a lot to get knowledge about web hosting company before buy. 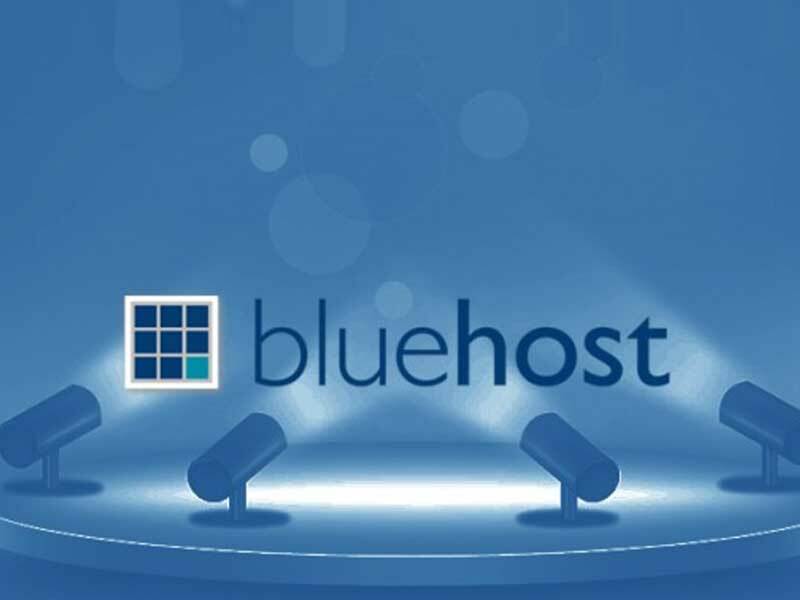 When we think about to purchase hosting for the website, then the first name always came in my mind is of Bluehost. So, I thought to write a detailed Bluehost Review for all of you with the hope of providing the best information about it. In this Bluehost Review, I’ll tell you about the company, when they started, Which plan is good, Which one you should choose, and Pros and Cons too. With the extraordinary server performance, Bluehost has created their own name in the very short span of time. Today we will be doing Bluehost Review, and we will tell why or why not you go with them. Bluehost is offering different plans according to the requirement of the customers. They have shared hosting, WordPress managed hosting, VPS hosting and dedicated hosting. If you are in just starting, then we suggest you go with shared hosting but if you already have a blog or website that is getting decent traffic then go with managed WordPress hosting. Our first interaction with Bluehost was when we were looking to buy hosting for one of my niche blogs. It took few minutes to buy a hosting plan and then in less than minutes WordPress was installed. With the use of one-click WordPress installation script, they made it easy to install WordPress without any technical knowledge. If you ask one best thing about Bluehost than it is their servers that are completely optimized for handling a WordPress based website. That is why they are the most recommended hosting company by WordPress. Check out the screenshot. Apart from latest PHP and MYSQL, there are few more things that should be considered in mind while looking for a reliable WordPress hosting company. Servers should be able to handle extra load that doesn’t cause any downtime or any other type of error that decreases user experience. According to personal experience, Bluehost can handle 20,000 to 30,000 traffic per day without any downtime (Use CloudFlare free CDN and WP 3 cache plugin for increasing performance). Bluehost is a hosting company which is owned by Endurance International Group. It collectively hosts 1.9 million domains with other companies under Endurance International Group like FastDomain iPage and HostMonster. It is one of the top 20 web hosting companies in the world. The company operates all their operations and servers in a 50,000 sq. ft. Operation center which is located in Provo, Utah. Now, this office place is shared with their sister company i.e. HostMonster. In 1996 when Matt Heaton was working on a static web program then he realized that web hosting services left much to be desired, that is the only moment when he got inspired to start Bluehost. He thought web hosting companies should offer more space and other add-ons that make website hosting more convenient. 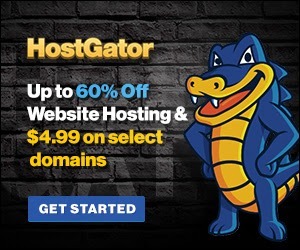 Before launching Bluehost in 2003, he started two other hosting companies named as 50megs.com and 0catch.com. In 2009, Bluehost updated their business structure and introduced a new featured – CPU throttling. In simple words, CPU throttling means reduced the load on the server when a user is pulling very many resources of the server at one time. We always do product review based on proper research, and we only provide data that provide transparency. If you are just a beginner or planning to start a website, then you must be looking for an inexpensive and basic web hosting service. Here they have the shared hosting that is what exactly you need. Bluehost Web Hosting Prices are very low as compare to other companies and they are providing best services at very reasonable prices. Most of the newbies and small businesses are running their website and blogs on shared hosting only. But if you have high traffic and heavy load database size then there are many more options available. There are also dedicated hosting plans, but they are good for large commercial businesses as they require full control and high-end servers. If you have bought dedicated hosting that means you are renting a physical server. VPS hosting comes in middle range hosting where the server is shared with other, but you will get your own operating system that will work like you have your own physical server. There is also a dedicated WordPress hosting that is specially optimized for WordPress users. Many hosting companies charge you for the hosting, but you have to buy domain name separately. But with Bluehost Web Hosting you don’t have to worry about the purchase of a domain name separately. With every one year hosting plan you will get a domain name free for a year either its .com, .net, .in or .org extension you will get it for free of cost for the first year. They have packages that are supporting unlimited data transfer and disk space. They don’t have any defined limitations for that. You will not be charged according to the amount of disk space or bandwidth you are getting in the plan. But keep one thing in mind that these are not infinite resources. They try to provide all the necessary resources to their customers that make their online presence easier. More than 90% of their clients have more space than their requirements. Other companies who charge very high prices for Web hosting but they don’t provide services as compared to costs. But with Bluehost Web Hosting you will get unlimited disk space and bandwidth though there are certain limits still far better than other companies. For example, there is a limit of 3GB MySQL size, but it takes years and years to fill that space. 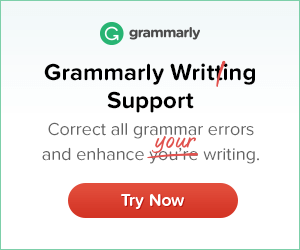 Except in case you are running some auto-script or auto-blogging, you won’t be able to reach that limit. There are certain limits on CPU usage, but again they are high as compare to other hosting companies. Bluehost can transfer you to more secure and powerful server if needed. For more on their unlimited policies visit here. I have used many hosting services, but as per my experience Bluehost, Web Hosting cPanel is one of the best and easy to use for a beginner as well as for an expert. Maximum of the companies use standard cPanel which is hard to use and manage. But if you use Bluehost Web Hosting cPanel you will find it easy to maintain a single website or even multiple websites. Bluehost is one of those companies which allows you access to SSH. There are more than 2 million websites hosted with Bluehost Web Hosting but we personally impressed with their server uptime. According to many experts reports Bluehost servers uptime is 99.9% which is better than average from any hosting service providing company. At the price of $19.99, you can get benefits of all the professional plans. In our opinion, as compare to another hosting service provider, we rate Bluehost Web Hosting four out of five. You can do a live chat with their executive, and there is an option of email and telephonic support. Maximum of the time they can resolve the query in between 5 to 30 minutes, which is standard time of resolution in shared hosting. It is the one feature we like the most. According to this if you don’t like Bluehost services then you can cancel your Bluehost Web Hosting account and get all your money refunded. In August 2013, more than millions of hosting accounts faced downtime or 24 hours that is still in the minds of webmasters. No one has forgotten the network glitch back in winter of 2016. Still, they are criticized for this two big news. The basic job of a web hosting company is to store your website and then serve it the user when they are requesting. But the key point where you should focus – whenever a user visits your site it opens very quickly. That is where most of the companies lack behind. There are a lot of variables that are responsible for the website speed. Some of them are in our control while some of them are not in our control. Bluehost is quite transparent in this matter. They have given all the specification on the respective pages of their website. If you see the specification page of their hosting plan, then it ‘s hard to say how many websites they are running on the same server. Only the team of their network engineering have access to bandwidth levels and network performance. If we compare with other hosting companies, then Bluehost is an average company regarding speed. If you don’t know how to measure the speed of website then simply check it in Google Page Insights. There are few things about Bluehost that are not as good as their competitors are doing. Like they are providing the backup facility, but that is not on a daily basis. They are providing the 30-day money-back guarantee, but on the other hand, many companies are offering 90 days money back guarantee. Bluehost is a good and clean brand that everyone loves, but they don’t have any specific targeted audience on which they focus. Bluehost is perfect for a beginner or someone who needs a hosting from a renowned brand. But being available for everyone sometimes becomes not available for anyone. There are many other options available in the market that are providing more discount on website hosting plans. Their servers are performing well, but better options are available in the market. Developers do not very much love the tools that are available in their add-ons section. Managed WordPress hosting is still more preferred over shared WordPress hosting. One of the first things we need to start a website or blog is select and buy a good hosting. We need a good hosting plan so that it can balance between your blog traffic and the available resources to avoid downtime causes. And, these all requirements can be easily fulfilled by Bluehost like companies. So, If I’m not wrong, then you want to know the cost pricing plans of Bluehost. Right? Bluehost offers a great number of hosting plans to their customers. It doesn’t matter you just started or you’re now a professional blogger. Bluehost has complete web hosting solution, and that’s why it’s recommended by professional bloggers. Bluehost provides many hosting plans, but I’ll tell you the cost pricing details of only those plans which are best and which you should use. If you’re a newbie or want to start a small or medium blog and you don’t have enough budget, then I’ll recommend you to go with Bluehost shared hosting plan because it is one of the great choices. In, shared hosting plan of Bluehost, they provide three different plans; Basic, Plus, and Prime. check costing of these hosting plans in below table. Bluehost also offers instant activated VPS hosting accounts to customers just after of the payment. It’s one of the rare and best hosting plan. VPS plans also comes with monthly plan, so if you don’t have sufficient budget or you want to give it a try, then only pay for a month and check it. If it will work as per your needs, then pay him for next months. Bluehost is one of the best and great hosting providers. Just like as above best-hosting plans, Bluehost also offering dedicated servers to their users at a reasonable price. Bluehost is not only built up with latest technologies but also have robust and powerful servers which are protected with latest security settings. If you compare Bluehost’s dedicated server policies with any other hosting company, then you’ll get it ten times better. They are providing fast loading dedicated servers at very reasonable cost. If you want a dedicated server, then check prices below in the table. By the way, this review has already become one of the most detailed Bluehost review available on the internet. Being passionate about web hosting, we can spend the whole day discussing it and all other aspects related to hosting. But since it already becomes so lengthy it’s time to conclude the review. After doing this Bluehost review, the first thing that we concluded is that they have quite cheap hosting plans as compare other companies with great customer support. It’s a decent web hosting company in all other aspects. There is one negative point that we found about their basic plan doesn’t include all the available add-ons. But it will not affect the blogger and webmaster who are just starting their online journey. Overall, it’s good to start with a brand that is trustable among the webmasters all around the world. If you are looking for a feature-packed, reliable, cost effective shared web host and you are not aware of the technical titbits that are behind a website, then you must go with Bluehost. But if you have a higher budget and you are looking for a better alternative of Bluehost then I’d recommend Siteground or InMotion Hosting (a tad bit pricier) without thinking much. They are offering all the thing that are included in Bluehost, but they perform better in all the aspects. We hope this review will help you in choosing why you should go with Bluehost Web hosting for your first website or any website on which you are working from years. Do share your views in the comment section and don’t forget to share this article on social media and in your circle.